Flat feet can be a problem for some people, especially if they wish to play energetic sports such as tennis. You shouldn’t be put off enjoying hobbies and sports however, and you’ll be happy to know that there are plenty of models of tennis shoes that are great for those who suffer from flat feet. These best tennis shoes for flat feet reviews will help you to find some of the best shoes on the market. They provide good support for the feet and especially the arches, and if you choose one of these pairs of tennis shoes, your feet will be supported and comfortable whilst you are playing this game. You can choose between men’s and women’s models of these shoes to ensure that you have the perfect shoe for your needs. 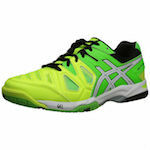 Look out for the most durable construction materials and designs that are made to improve your performance on the court. 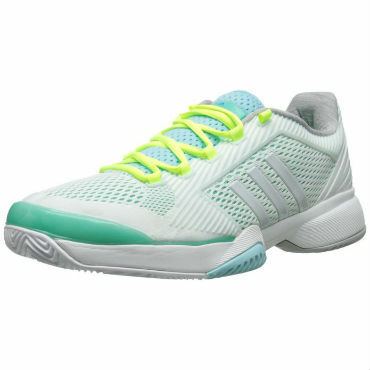 These adidas Barricade 2015 Tennis Shoes are a great choice if you have flat feet. 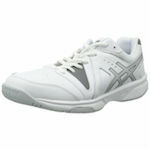 They provide gentle support for the arches and offer many other benefits to the tennis player. An adiprene and foam midsole runs along the base of the foot from heel to toe. 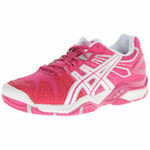 This offers complete cushioning to make every step as soft as possible. In addition, there is plenty of cushioning below the arches. 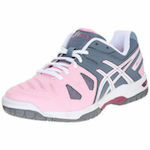 The midsole effectively and reliably absorbs the impact that the feet make with the ground when playing tennis. This means that the feet feel less stressed and the pressure is taken away from the knees, reducing the risk of knee pain and injury and offering better propulsion. The ballistic mesh upper keeps the foot cool and dry, allowing air to circulate around the shoe. A special chassis design ensures that the foot is kept in the optimum position for movement, giving the wearer greater balance and stability whilst playing tennis. You can have peace of mind when you purchase these shoes. Adiwear 6 offers you a 6-month warranty when you purchase these shoes, which protects the quality of the hardest wearing areas. The outer sole is non-marking and will not ruin the court. 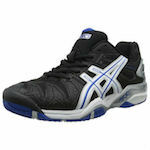 For complete comfort, Asics have come up with one of the best models of tennis shoe on the market. 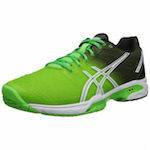 The ASICS Gel-Solution Speed 2 Tennis Shoe uses the best materials for these shoes to ensure that you get the best performance and reliability when you wear them. These shoes use a Solyte gel solution midsole that runs along the length of the base of the shoe. This midsole is well cushioned, and keeps your feet as comfortable as possible whilst you are playing tennis. The cushioning keeps every step you take soft and absorbs shock well. This minimises the pain that you may feel, especially if you have flat feet. Low arch support ensures that the bone structure of your feet is protected and supported, bringing further comfort. 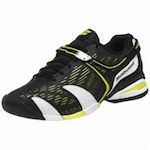 To ensure that you will not slip whilst you are on the court, the synthetic out sole offers you good traction and grip. The ankle collar is made of 2 layers of memory foam. This extends to the heel and keeps the heel comfortably in place. It also encourages your foot to maintain a more stable position whilst wearing these shoes. You will notice that your balance is improved as well as having fewer symptoms of flat feet. The upper of these shoes is stitched to an EVA board that makes up the midsole. This ensures that the stitching will last and keeps the structure of the shoe well. In order to keep these shoes as lightweight as possible, the sole has been designed to be extra light without sacrificing the quality or durability of the sole. You can be sure that the sole will keep its shape and effectively support the arches of your feet. If you have flat feet, you will find that your feet are well supported and you’ll end up with less pain in the soles and the arch area. Attached to the toe of these shoes is a special reinforced toecap. This reinforcement is made from rubber and resin, and absorbs any impacts. It will not wear out quickly and will ensure that these tennis shoes last a long time. Gel cushioning to the front of the soles of these shoes keeps the toes and balls of the feet as comfortable as possible. It helps shock absorption and also allows you to enjoy a more comfortable and pain free propulsion. To keep your feet dry and healthy, there is a removable sock liner in these tennis shoes. These great tennis shoes not only look great when you are on the court, but they can also provide you with unrivalled protection, especially when you have flat feet. A dynamic response system is built into the toe of these shoes and helps the toes and the ball of the foot to be supported during propulsion movements. Along with this is a special cushioning design that supports the foot whilst remaining as comfortable as possible. 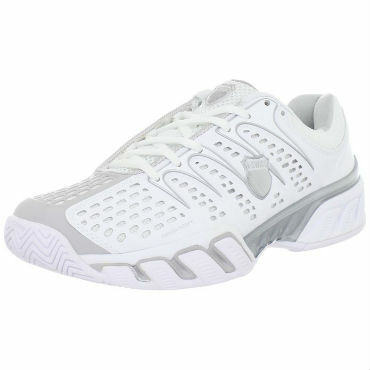 The uppers have a cell shield pattern, which prevents the shoes from becoming scuffed by abrasive materials or impacts, and the uppers also allow these shoes to keep the foot cool and comfortable when playing tennis. 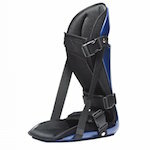 Four-point support is provided to the foot by a chassis style foot belt. This keeps that foot comfortably aligned and stops the tennis shoes from rubbing against the feet. The world-recognized company, Michelin, makes the outer sole. Without sacrificing quality, these shoes have excellent traction whilst being as lightweight as possible. Because these tennis shoes are so well cushioned, stable and breathable, they are a great choice for the avid tennis player. Whether you play tennis on a casual basis, or if it’s something you take seriously, this is a great choice. If you’re looking for ultimate comfort and support when you’re on the court, then the ASICS Gel-Game Point Tennis Shoe is a great model to consider. 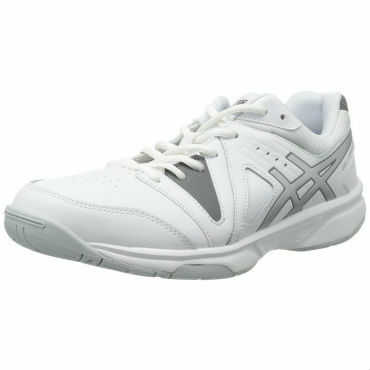 This model of tennis shoe has a men’s and women’s version available so that you can choose the model of shoe that has the best fit for your feet. The women’s model has a slimmer fit to ensure complete comfort whilst the men’s shoe is wider with additional lining. 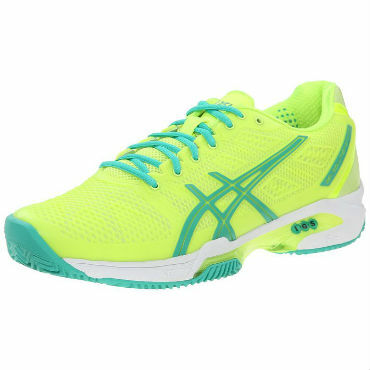 These are some of the best women’s tennis shoes for flat feet. A breathable leather upper with a mesh panel built in ensures that your foot is as cool as possible whilst playing tennis. When you are running around on the court, it’s common for feet to become hot whilst producing a large amount of perspiration. These shoes counteract this common complaint, as air can circulate around the shoes well, whilst the lining ensures that any moisture is drawn away from the feet. The uppers also offer excellent support for the feet, keeping them aligned well. This prevents injury and pains from occurring in the feet. To support the soles, there is plenty of cushioning to the midsoles that support the arches well. This is great for those who suffer from flat feet. Additional memory foam to the heels keeps your feet very comfortable so that you can play tennis for hours on end without pain if you wish. 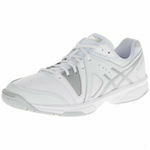 Exceptional ventilation and a great looking design make this tennis shoe a popular choice amongst tennis players. 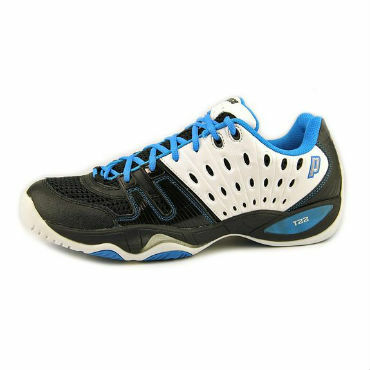 The Prince T22 Tennis Shoe has also got great support and stability. 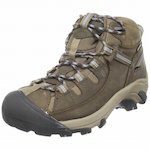 Straps to the front of these shoes keep the toes aligned with the heel whilst toecaps protect the toes against abrasion. The midsole of these shoes offers shock-absorbing protection. When you run along the ground, you may have experienced the feeling of fatigue or even pain and discomfort in your feet following this. 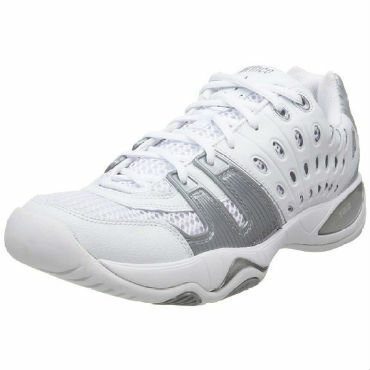 The T22 tennis shoes will ensure that you can avoid this discomfort and tiredness in your feet. 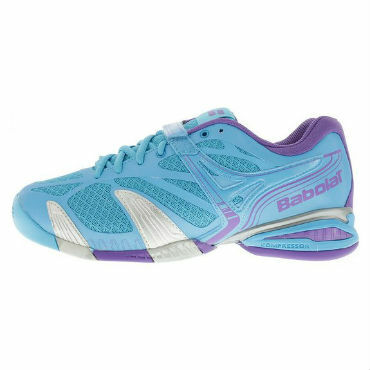 The outer sole of these shoes is made from highly durable rubber that offers you great traction when on the court. It is lightweight as well as reliable, and you can enjoy a 6-month manufacturer’s warranty against the quality and durability of the outer soles. 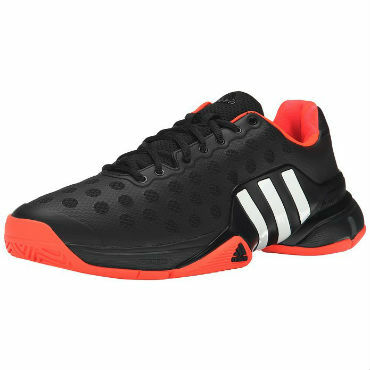 An air mesh panel at the top of these shoes provides you with ventilation when you are playing on the court. The durable quality offers you many months of reliable use and you’ll not sacrifice any performance, as these shoes are lightweight. For sufferers of flat feet, there is arch support that gently keeps the arches supported and helps the feet avoid pain and discomfort from low arches. Advanced cushioning, support and durability makes the ASICS Gel-Resolution 5 Tennis Shoe a sensible purchase for the tennis player. One of the most attractive properties that this shoe offers is a highly flexible upper part of the shoe. You wont lose any support from the uppers, but you will notice how flexible the material is. This allows you to have as much movement as you need whilst keeping your foot aligned and minimizing injury. Special gel cushioning to the heel and to the ball of the foot ensures that your foot can be kept comfortable and stress free. The cushioning absorbs the impact that your feet make with the ground whilst you are playing tennis and this will result in less chance of causing injury, and reduced fatigue. You can also have better movement in the feet and improved propulsion. The lightest possible midsole runs from heel to toe in these shoes. This provides a cushioned and durable platform for your feet with added support for the arches. 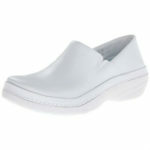 The low profile of the arch support of these shoes makes them ideal for sufferers of flat feet. The outer sole system provides good grip and traction. You will feel stable and have better footing with these shoes as a result of the outer sole technology. 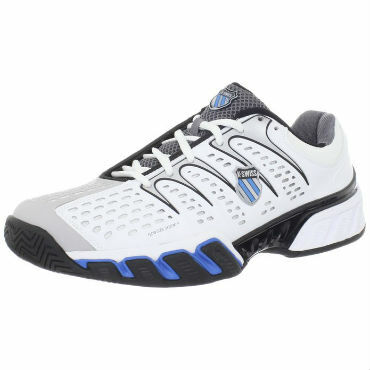 The K-Swiss Men’s Bigshot II is a top choice when it comes to choosing the best tennis shoes for overpronation for professional or casual performances on the courts. These shoes have a flow cool system. This allows airflow to circulate around the shoe in a comfortable manner, allowing the foot to remain cool and dry. Mesh sewn into the uppers allows air to enter the shoe whilst moisture-controlling lining draws any moisture caused by perspiration away from the feet. To ensure that you can get as comfortable a fit as possible, a few features are added to the design of these shoes. The collar of these shoes has a comfortable and protective padding. The tongue is also padded for your comfort. To keep the feet aligned whilst playing tennis, these shoes have a well constructed midsole that runs along the complete length of the shoes. 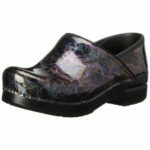 The ladies’ model of these shoes has a slimmer midsole and a narrower fit to keep the shoes as snug fitting as possible. The high wearing areas of these shoes are the heel and the toe sections. The toe has been reinforced with durawrap to prevent damage caused by scuffs and toe dragging. The heels have a grip lining that grips the wearer’s sock. The men’s version of these shoes is possibly the best men’s tennis shoes for flat feet. These best tennis shoes for flat feet reviews will hopefully help you to find the best possible tennis shoes for your next tennis match, or even just for casual tennis practice. If you have flat feet, you’ll appreciate the comfort and protection that these shoes provide for your feet. Support for the arches prevents the feet from experiencing pain and discomfort. To ensure that your feet are protected against the fatigue and pain caused by impact, these shoes have excellent cushioning built into the soles. You should always choose a tennis shoe that has plenty of traction too. Many of the best manufacturers offer warranties on the durability of the build quality of their outer soles. Cooling systems in the best tennis shoes involve mesh panels that allow air into the shoe. Combined with good linings that can keep the feet dry and healthy, good tennis shoes can keep your feet in the best possible condition.